Whole Onion: 1 teaspoon onion powder equals about 3 tablespoons to 1/3 cup fresh chopped onion. If you're making a cooked dish, use storage onions -- such as white or yellow -- because they have a stronger flavor that infuses the dish, but mellows during the cooking process. If you're creating a dip or dressing that isn't cooked, opt for sweet onions, such as Bermuda, because they're less biting when eaten raw. Soup, chili, some dips and casseroles do best with either fresh alternative. Minced shallots may also stand in, but expect a slightly garlicky flavor. 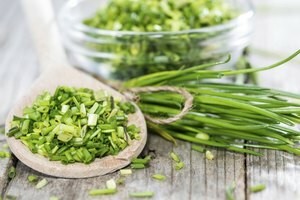 Chives, the white part of leeks and minced green onion are mild-flavored onion powder alternatives. You'll need to experiment with quantities to adjust a recipe to suit your tastes. 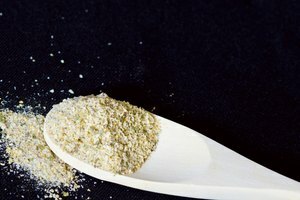 Alternative Vegetables: While alternative vegetables won't duplicate onion powder's flavor or ease of use, they can marry well in onion powder-containing recipes. 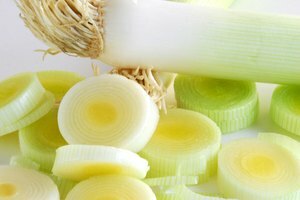 Use chopped celery or fennel bulb to provide an aromatic flavor to cooked soup, stews and casseroles. Opt for just one, or combine them for several layers of flavor not available from onion powder. A sprinkle of cumin powder along with these vegetables can also add a pleasing depth of flavor when onion powder isn't an option. The chopped vegetables add a considerable amount of texture and aren't appropriate for raw or creamy-textured dishes. Onion Flakes: Also called dried minced onion or dehydrated onion, these are onions which have had all their water removed. 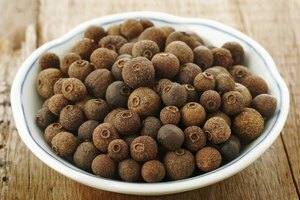 They're usually sold as small bits or chunks in jars or spice bottles in the spice section. A 1 tbsp. serving of these flakes equals 1 tsp. of powder, which is more concentrated in flavor. Note that onion flakes have a noticeably chunky texture that is detectable in creamy and smooth dishes. Granulated onion may also stand in for powder, but has a grainier, cornmeal-like texture. Onion Salt: Onion salt is simply onion powder with added salt. You'll need to adjust how much salt you add to the recipe if you choose this alternative and prepare for a slightly less intense onion flavor. Use onion salt in dips, marinades and rubs. Garlic salt, or powder, is also an alternative, but note that it will have a slightly different flavor effect. However, both onions and garlic belong to the same family of plants, and have similar effects on a dish's flavor profile.